In a joint collaboration between Pianist and Jaques Samuel Pianos, Pianist expands its portfolio of tutorial videos with the new Young Masters’ Classes series. The series of tutorials will feature the piano stars of tomorrow talking into the camera about pieces that are close to their hearts and fresh in their fingers. First up is Martin James Bartlett, who takes the viewer through Schumann’s Kinderszenen. Bartlett, who appeared as a ‘Star of Tomorrow’ in Pianist 100, offers a wealth of playing advice on this popular collection. The masterclass is released simultaneously with the April-May 2018 Pianist 101 issue, and can also be viewed at on Pianist's TV chanel (under 'Latest Videos') along with over 100 other piano lessons, ranging from beginner to advanced level, and other various videos. 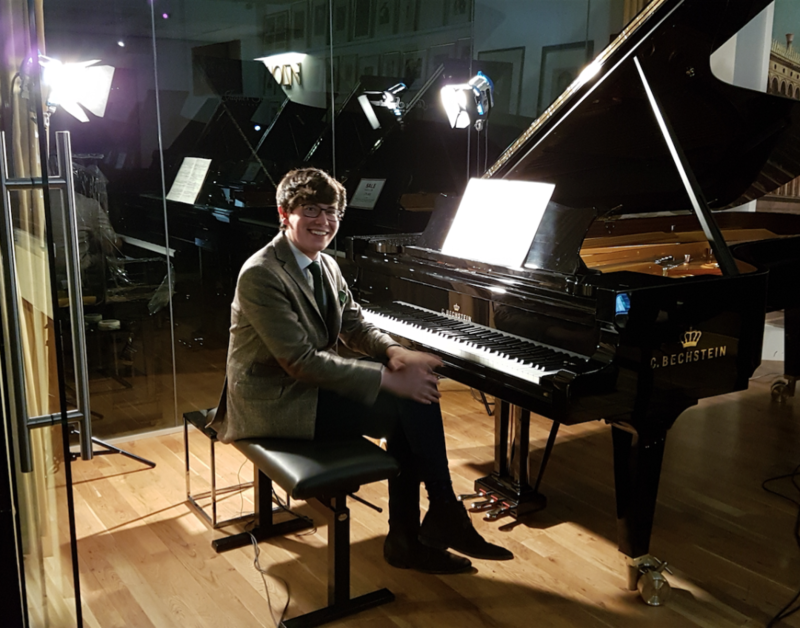 All the Young Masters’ Classes are filmed at London’s Jaques Samuel Pianos showroom, now the main UK showroom for Bechstein pianos. The pianists give demonstrations on the Bechstein model D, which was the piano of choice for Cyprien Katsaris when he gave a Wigmore Hall recital last December. The next Young Masters’ Classes will be taken by French pianist Emmanuel Despax, who turns his attention to Chopin’s Préludes.